So, one could be tempted to think that storytelling is the magical ingredient to turn boring charts into killer visuals, make the blind see and save the world at large. But, as so often, the pure and simple truth is rarely pure and never simple. In fact, some of my favorite visualizations have no story to them. Look at the legendary map of the market. 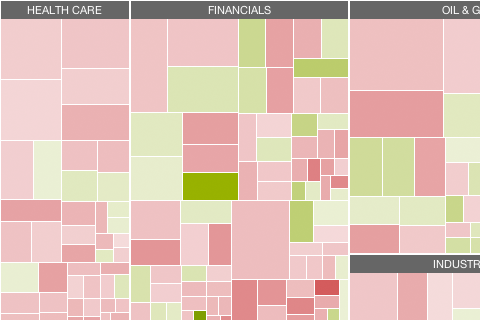 A fantastic tool to understand the state of the stock market at one glance. 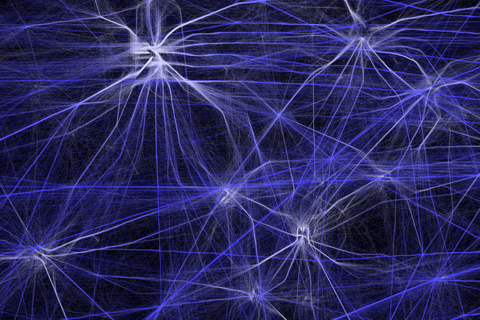 Consider Aaron Koblin’s Flight Patterns. 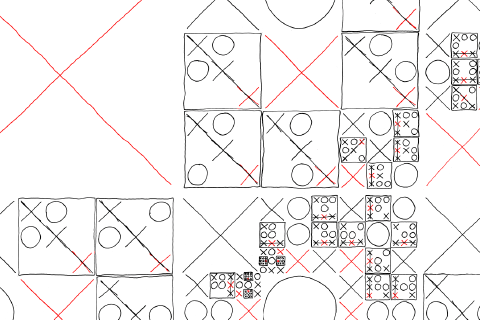 The brilliant map of optimal tic-tac-toe moves by xkcd. Tools have no stories to them. Tools can reveal stories, help us tell stories, but they are neither the story itself nor the storyteller. Portraits have no story to them either. Like a photo portrait of a person, a visualization portrait of a data set can allow you to capture many facets of a bigger whole, but there is not a single story there, either. Let us not forget about these important genres. There is more to information visualization than punchlines. Update: After a few twitter discussions, here is a clarification: I argue against the often heard claim “every good visualization tells a story”. I would agree that, in a loose reading of the word, you could say that some of the above visualizations “reveal stories” or might “trigger stories” in the viewer’s mind.